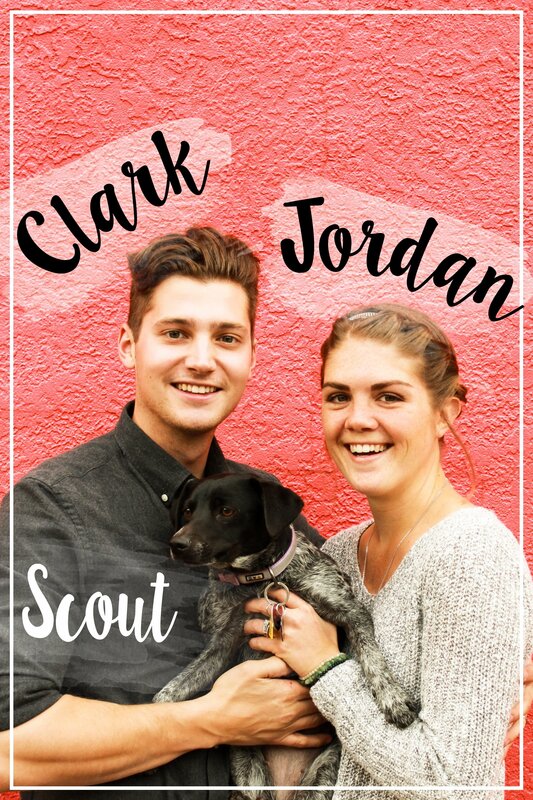 Despite living in an area that is devoid of Whole Foods or Trader Joe’s, we are lucky enough to have a little health food store – The Sunspot Natural Market – right around the corner from us. As an added perk, they give students 10% off every day and 20% off on Thursdays. We rarely hold off until Thursdays, though. We popped into the store yesterday to pick up a few snacks and supplies to make homemade granola bars. To our pleasant surprise, there was one lonely bunch of overripe bananas sitting on a shelf. We’ve been wanting to make One-Ingredient Banana Ice Cream since we first saw the recipe, but we never have overripe bananas just laying around the kitchen. We followed the recipe at the above link, and added 2 tablespoons of peanut butter. [Which would obviously make it a “Two-Ingredient Banana Ice Cream.”] No photos to prove it, but it was delicious! A perfect dessert. 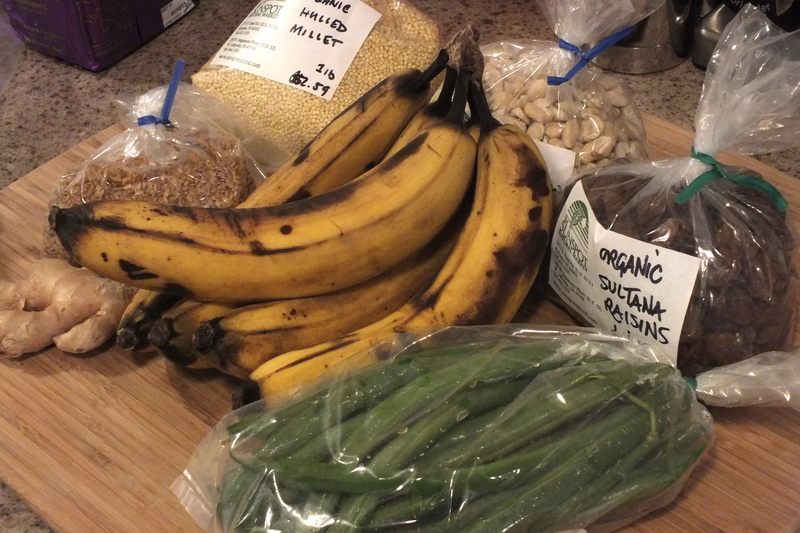 Ginger, golden flax seeds, millet, cashews, sultana raisins, local green beans, and the bananas. We made the green beans for dinner. [Delish!] 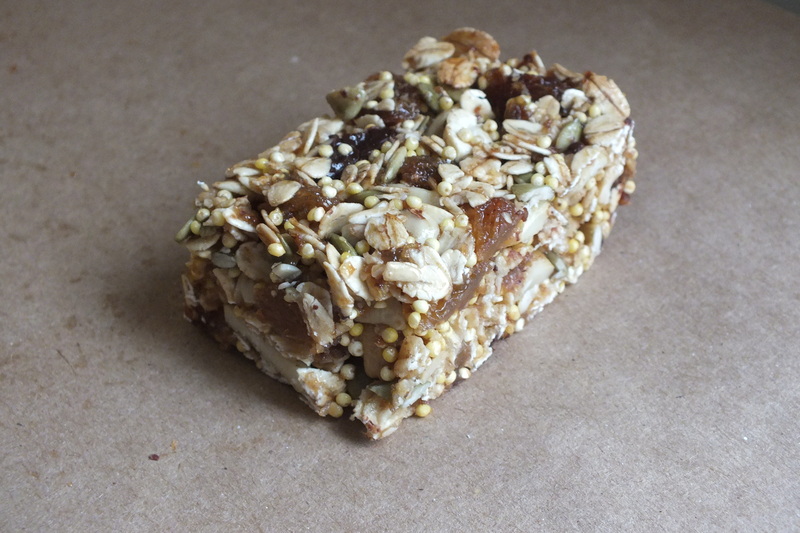 And our granola bars turned out to be pretty good, too!